It has not been my practice to do reviews on these types of restaurants. If it had, there would be lots of reviews on PJ Whelihan’s, Chili’s, Friday’s, Applebee’s, etc. I have decided to do just this one on Chickie & Pete’s because it has become such an icon on the Philly scene. The concept has proven so popular that they are opening new locations throughout the Delaware Valley. 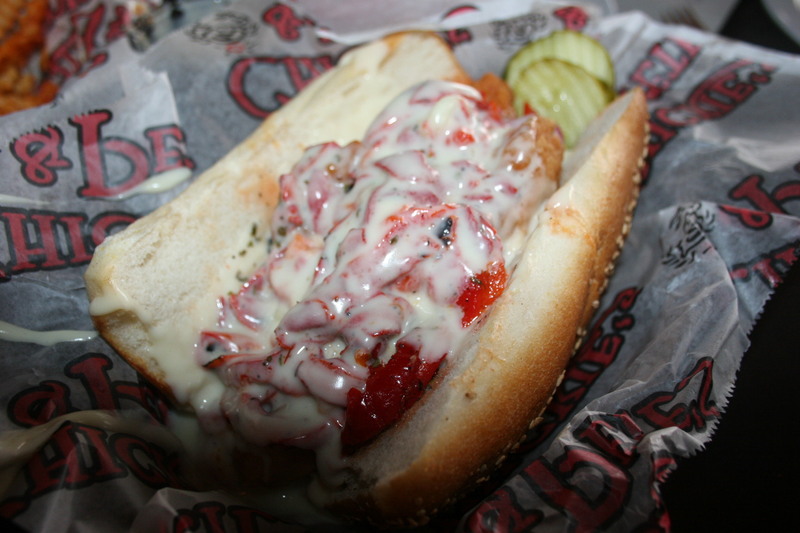 The original Chickie & Pete’s is located in the Northeast on Robbins Ave. and has been there since 1977 known only, for most of that time, as a local spot to watch sports on multiple TVs. Owner, Pete Ciarrocchi, in 1998 was able to get a franchise for his concept inside Veteran’s Stadium and the growth explosion had begun. 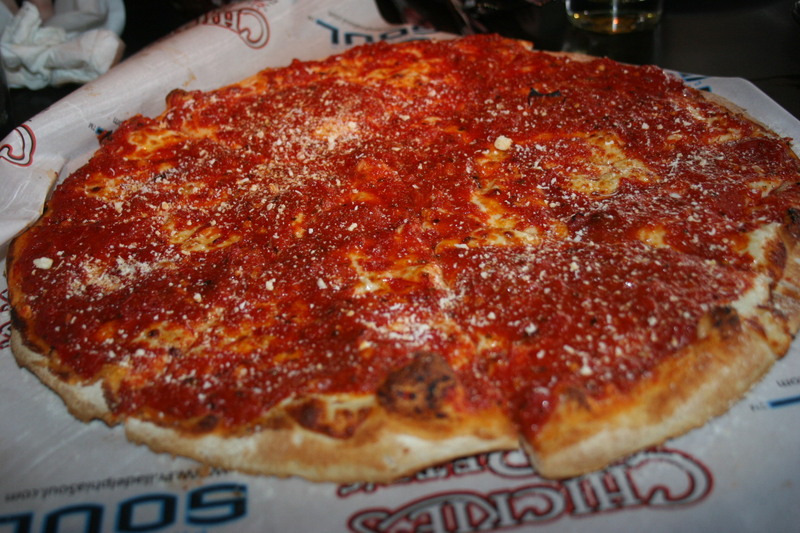 They opened in 2003 at their present Packer Ave. location within walking distance of all of the Philly sports venues and drew crowds from the very first day. People came from far and near to eat wings, drink beer and watch sports on giants TV’s. The one menu item that gets the most attention are the Crab Fries. My sons and their friends all rave and often crave the crab fries. 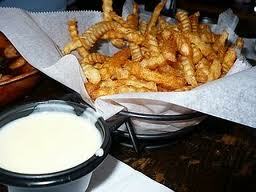 Seasoned crinkle-cut fries with a white cheese sauce. To many, one of the best things they ever ate. To me, their just OK. In my humble opinion, the fries are too small, too skinny and the cheese, although tasty, can be messy. I much prefer a thicker, meatier fry (see wedge fries or steak fries) but I do confess to being in the minority. My wife, Kathy, and I met our son and his wife there (Packer Ave.) for lunch last Sunday. 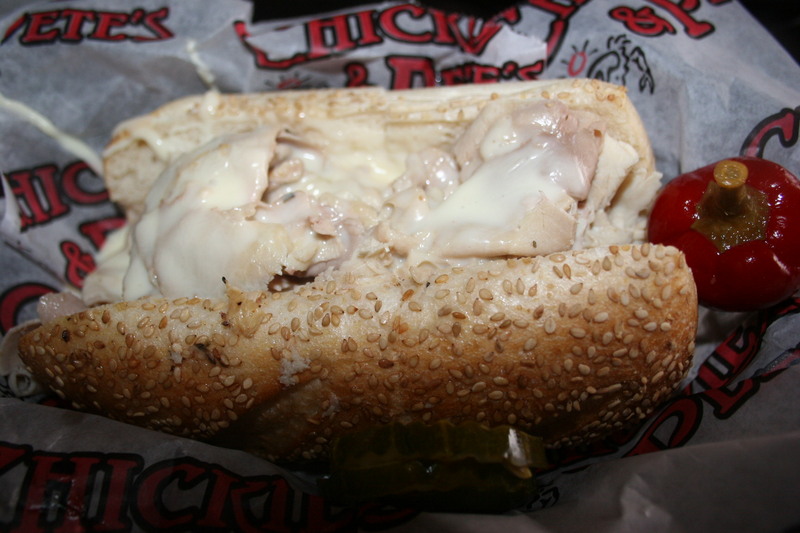 I had the Roast Pork with Provolone Sandwich and I must admit that it was excellent. The roll was nice and soft and the meat and cheese blended perfectly. We had the crab fries for the table. Kathy had the Mussels in a very spicy white sauce. 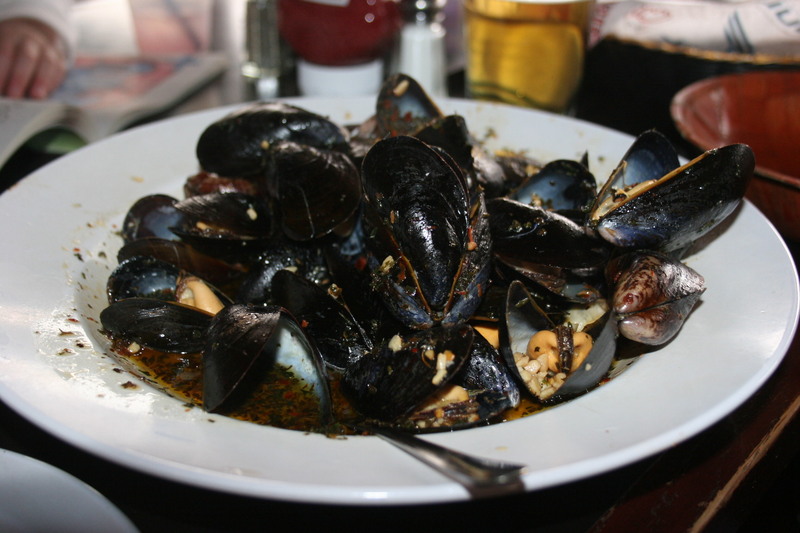 I actually dipped some bread in the sauce (not a mussels fan) and thought it was pretty good. My son had the Chicken Cutlet Italian with roasted peppers. He and his wife are big fans of all things Chickie and Pete’s so neither had any complaints. Their small children had little cut up pieces of a Cheese and Tomato pizza which I sampled and found to be virtually inedible. Again, this may be a personal dislike as it is much more of a tomato pie than a typical pizza. The cheese on this one is under the sauce and almost unnoticeable. Overall, I did enjoy my sandwich. There is a huge selection of draft and bottled beers and almost everyone agrees it is the perfect spot to meet friends before or after a Phillies, Flyers, Eagles or Sixers game. Congratulations to Pete Ciarrocchi on his award-winning restaurant concept. 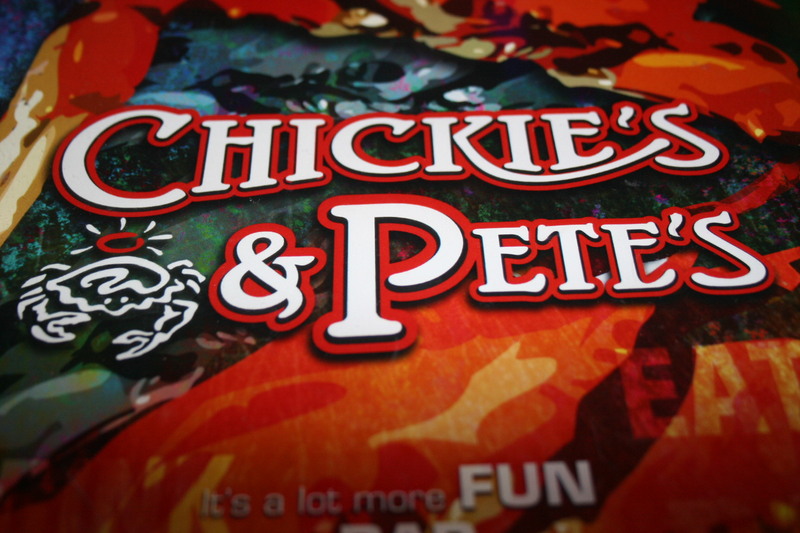 You can pretty much rest assured there is a Chickie & Pete’s coming soon to your neighborhood.